Can't wait to see what Jeff will come up with. Mark, glad the number 1 is working well for you. It was a really, really fun build. I thought I was done with On30. Regretfully, I have been sidetracked lately with some On30 Gilpin Tram and Kelley Island ideas. Wasting time but having fun. Pictures to post soon. Looking forward to the rebuilding of this Hiesler. Never thought I would read the words "too slow" in this forum. As one who has never progressed beyond owning a few Bachmann on30 RTR's, the word "slow" to me, is one of pure fantasy, but something I am always striving for. The parts for the gearbox have been shipped, should be fun to see if they work out. The locomotive's speed was good, I like how slow it ran, the trouble was that the motor was running at full RPM and was very loud. 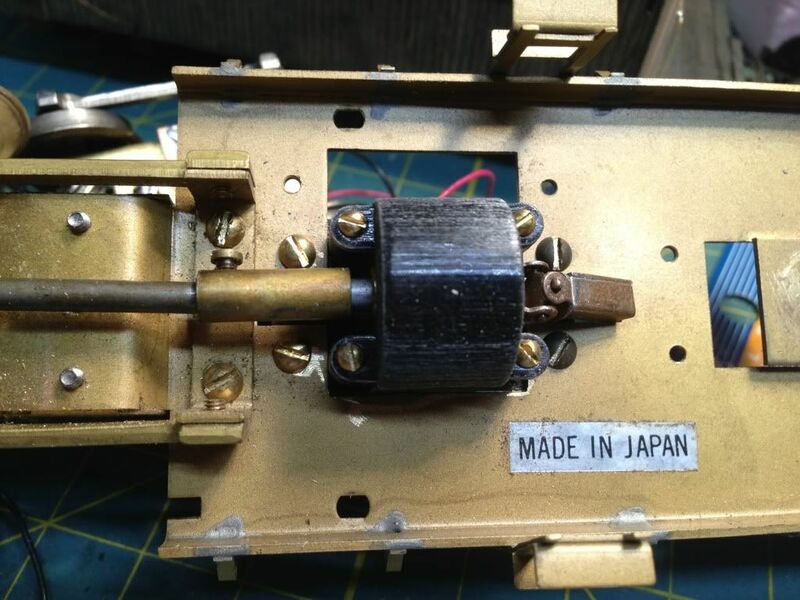 I wanted to lower the motor RPM and keep the speed. The other thing I didn't like was how hard it was to switch because you have to always go from 0-100% just to move the locomotive around. The new drive looks like it will be just the ticket. 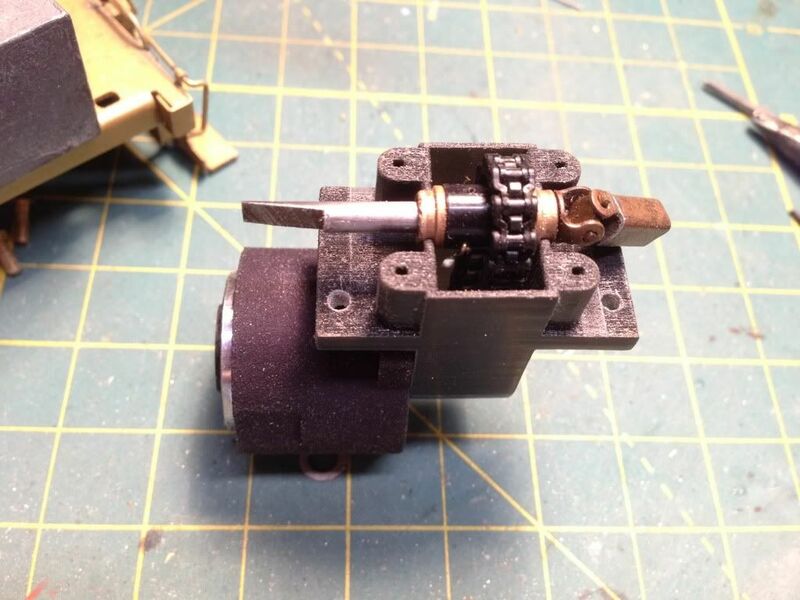 I got my Shapeways order and one part was missing, the bottom of the gear box. They sent me an email claiming that the bottom of the gear box was too thin, however it was the same thickness as the top. I thought we had it all cleared up but when I got my order the gearbox bottom was not in it. I am contacting Shapeways now to clear it up but I am sure it will mean a two week wait. The good news is that the parts are got are pretty awesome and I can get it all mounted while I wait for the bottm. I will work on it over the weekend and post some photos. the moral of this story, upload your models and wait for the email back saying all parts have past inspection before you place an order for the parts. 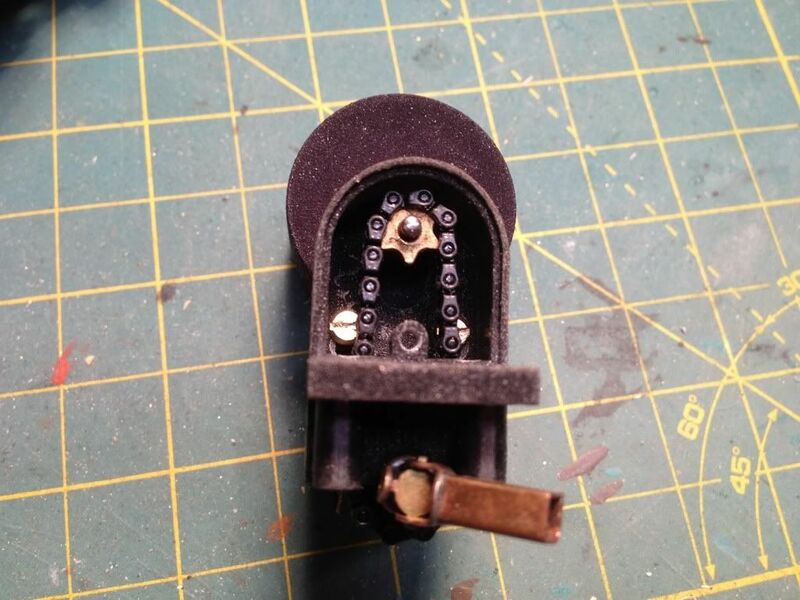 If you order before you get the conformation email, even if you know the parts are correct because you have made parts just like it, they will drop that part from the order and charge you shipping again. I found out that the checking process is manual and they insert a shape in your part, if your part is smaller than the inserted shape they reject it, The problem is that they inserted the part using the wrong units and they assumed my part units were millimteters, so when I had a wall thickness of 0.02 they thought it was .02mm and they rejected the part. It sounds like 3D printing needs a file format like "PDF" is for 2D printing, especially for customers like you who know how to set up files. I work in file prep for 2D printing, and spend all day manually adjusting files from art directors and designers. If I were to misunderstand a measurement, or assemble an incomplete order, that would be MY fault, not the customer's. shapeways responded right away and admitted the mistake on their end, they credited back all my shipping on the order and the part they will be sending. It will still take another couple weeks but they made right on the shipping charges. That's good news. I will be following- looking forward to more pics! Didn't NASA crash a Mars lander due to confusion over units English vs metric? 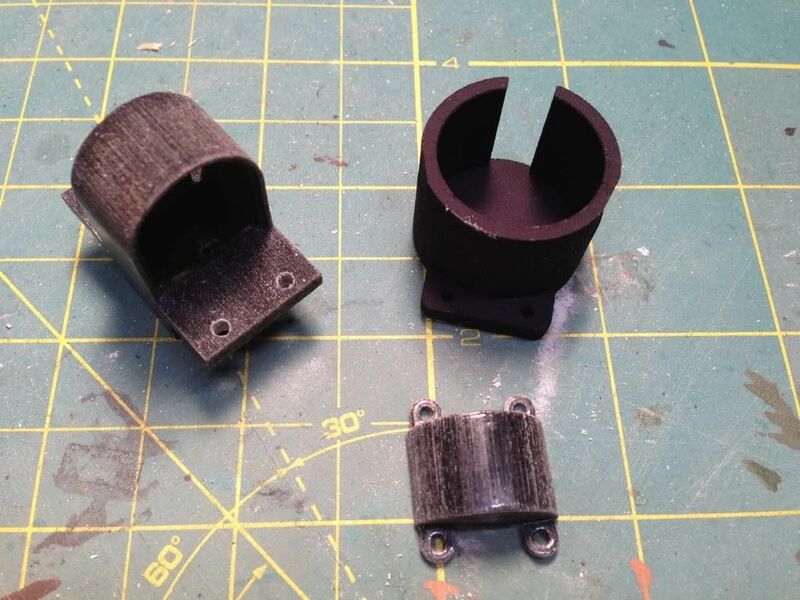 Could you post a photo of your Heisler part in the new black material from Shapeways. Did you try to get any small details in that material? I have some new parts I will be getting printed and would like to see the quality. After the big mix up and a few weeks of confusion I have my Shapeways parts. All the parts went together just as planned and the conversion was quick. The Black Detail material from Shapesways is ok. I used the Black and Flexible material for the motor cup but gear box is the Black Detail material. it is interesting that the material is white with a black outer layer. The chain drive is pretty quiet and the ratio is just right. I do have trouble with the small sprocket because the pitch does not match the chain pitch and there is a small jump in the chain. I was warned of the pitch mismatch but I was told that it will still work. I may have to take more slack out of the chain to see if that helps, otherwise I found that if I hold the chain out a bit the drive works great, so I may make a chain guide to install in the drive case that holds the chain out a bit. The new parts look like the perfect solution. I wonder why Brian didn't think of this sooner. With work and home projects taking most my time my only RR time I get is thinking about working on the layout, and when I start thinking it can be bad (the last time I tore out a finished HO layout to build an On3 layout). What I have been thinking about is how my RR may operate some day. I designed the RR to operate mostly by myself, but there are some times when I would like to have a guest over and we can both operate. Now that I have the dump trestle working I have an idea of how long it will take to unload a train of hoppers, which is not long I found out. I am worried that the operation will be too simple, go up to the mines and pick up loaded (or load) empty hoppers and then come down and dump the cars, the, repeat. On my HO layout we made the coal operations more complicated (which added switching time to the jobs) by classifying the coal by destination (east, west, interchange, or local use) and mine runs had to block the cars at the mines accordingly. The problem with the On3 layout is all coal goes to the unloading trestle, so there is not sorting or block. To create some more switching time I thought that I could designate the coal at the mines to either be used for coking or sizing, and on the Manns Creek that would mean that it went to the appropriate dump house. My thought was to assign the coal at the mines a random location (coke or sizing) and when the coal trains got down to the dump house they would have to sort the cars accordingly, which would work fine IF I had a second dump house. My thought would be to add in a turnout next to the engine house that would have a spur that would lead out onto a short trestle and a second bin, this second bin would be smaller and be used to feed a crusher that would in turn feed larry cars to fill the coke ovens. This new bin would only allow one or two cars to be dumped at a time and it would be stub ended, so there would be a lot more switching to do when cars designated for the coke bin were in a loaded train. 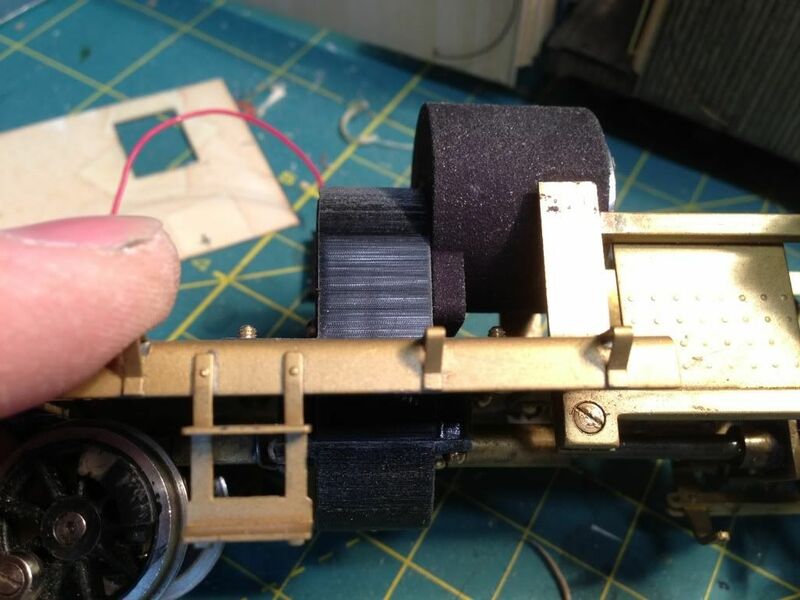 I even though about having the trestle track unpowered to keep locomotives off of it, that way a idler car would have to be used, indicating that the trestle can't support the weight of a locomotive. here is what it might look like. the red turnout is way too sharp and will actually be located farther to the right to reduce the frog angle. I am not sure which among the plans you have posted is the current track plan for the layout. As I recall, there was going to be a 5% grade up a switchback to get up to the mines. I would think longer trains could make the trip from the bottom of the switchback to the dump than could make it up the switchback to the mines. So, there could be an opportunity for one crew to be busy working the mines and the switchback. Is there an enginehouse up on top of the hill? Is the building near the coal dump also an enginehouse? The second crew may work the "bottom" of the railroad, unloading cars and shuttling back and forth between the dump and the bottom of the switchback. Also possibly working the hidden yard. I think working some variability into how many cars any particular mine can load in a shift could introduce some thinking and preplanning to the "top" job, while dealing with varying demand for coal cars could add some variety to the "bottom" job. Mines might also be requesting "gob" cars, which would require spotting side dumps that have a completely different workflow than the coal cars. Also occasional supply/general merc/lumber moves. The coal dump scene is so cool as it stands. I am not sure adding complexity will make the operation that much better. The "atmosphere" of the Slater Creek may best be served by very simple, low density track work. That said, you are one of the best track planners ever, so I am looking forward to seeing what you come up with. Thanks for the Shapeways photos Jeff. 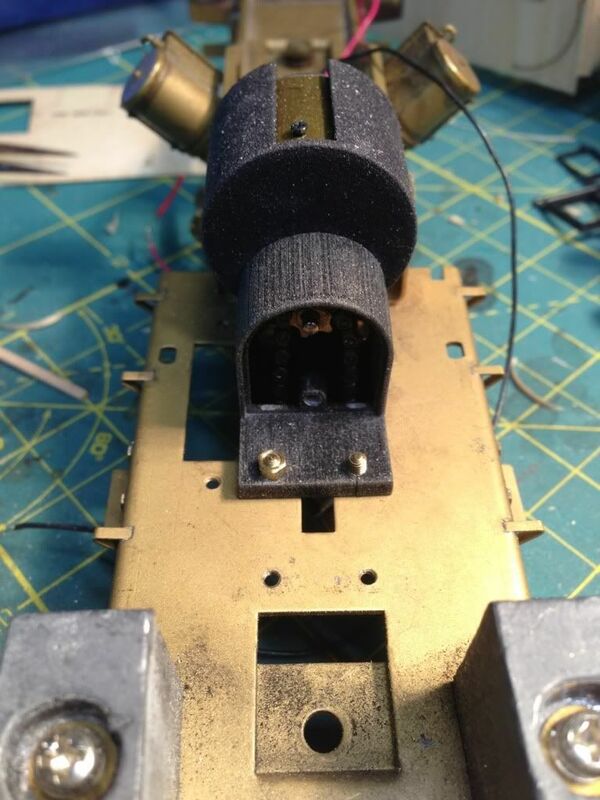 I may just stick with the FUD for my parts as I would like to get some rivet detail and a smoother surface. All I can say is WOW. this is top shelf model railroading. Its not a toy, Its my art that moves.